Meet this weeks “Cutest Baby of the Week”, Nya! Doesn’t her face just melt your heart!? 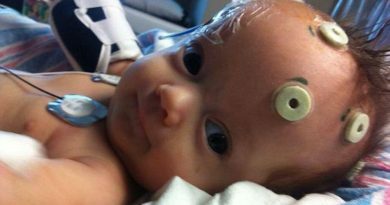 When we saw this photo, we knew there would be a funny story behind it, and when we read what her mommy had to say, our suspicions were confirmed! 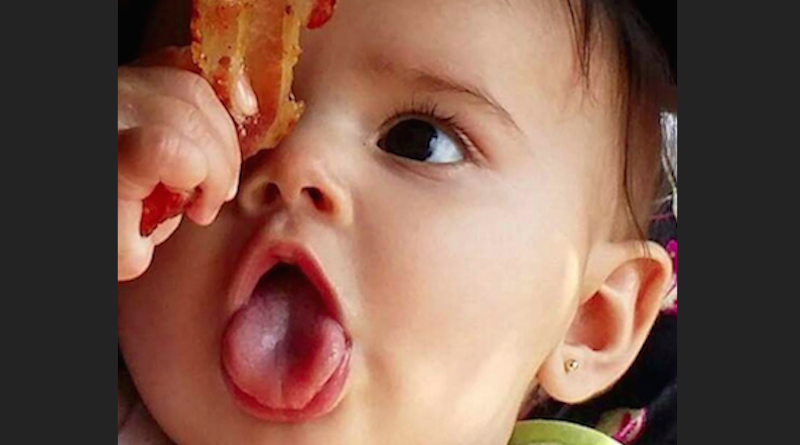 “While one vacation my daughter Nya (5 months old) simply couldn’t resist the euphoric aroma of the bacon sitting on my plate. I jokingly dangled it in front of her face and she actually managed to rip a chunk off! As much as I’m sure her father would love to share his favorite food with her I think we can hold off..” her mommy said in her submission. Nya is obviously a very intelligent baby. 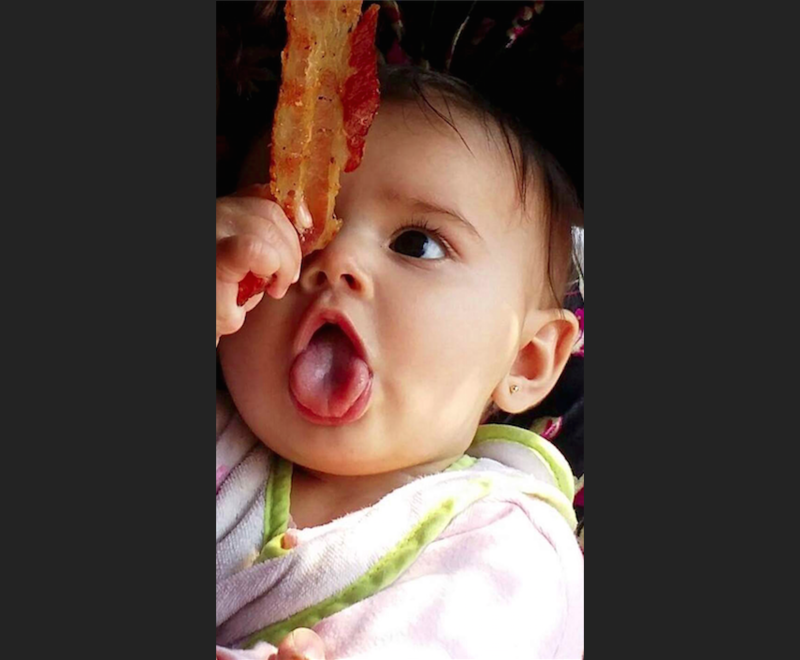 Bacon is amazing, and the fact that she has formed an appreciation for this delicious gift from nature at such a young age is quite impressive! You go Nya – keep enjoying the finer things in life :).